Parliament has united in fury and determination to condemn unrepentant Queensland senator Fraser Anning for his speech praising the White Australia policy and attacking Muslim immigration. But despite the strong criticism from across the political spectrum, the Katter's Australian Party MP has the "1000 per cent" support of his leader. Senator Anning is also refusing to apologise for calling for a "final solution" on immigration, a comment that has angered MP's and Jewish community groups. 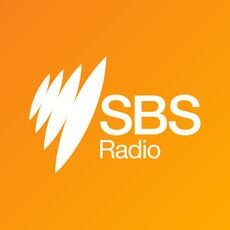 Labor’s Maria Vamvakinou MP, told SBS Greek that there will always be Fraser Annings amongst us. "As the Federal Member for Calwell, I just want to reach out to my own constituency first and say to them, like them I am too, and my family, have been a part of the great nation building program that was instituted by Arthur Calwell. Australia has a migrant history; migrant Australia has been the bedrock of our nation building. It was so when it began 70 years ago and it will continue to be so well into the future - a non-discriminatory immigration program has served this country at its best. And to my very large Muslim community can I thank you for the great contribution that you are making, not only to our community, but to the broader Australian community".